Signs are being replaced on a new St Helier cycle path – just days after being put up. 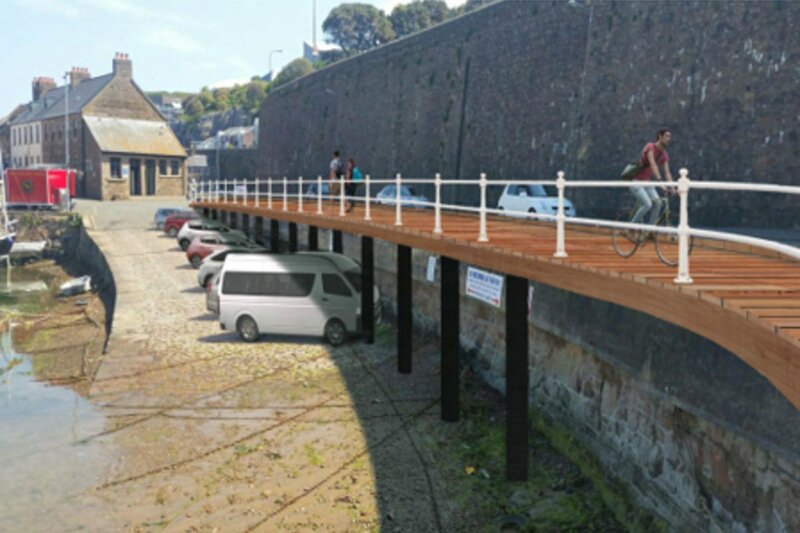 They tell cyclists on the new French Harbour boardwalk to give way to pedestrians – or use the road instead. As part of the work to create the path, signs have been installed telling those on two wheels to give priority to pedestrians – or use the road instead. While not calling the signage a mistake, Infrastructure Minister Deputy Kevin Lewis has told Channel 103 the signs will be taken down and changed ‘soon’. They’ll be replaced with those similar to ones along Victoria Avenue promenade, that warn it is a shared space for cyclists and pedestrians.